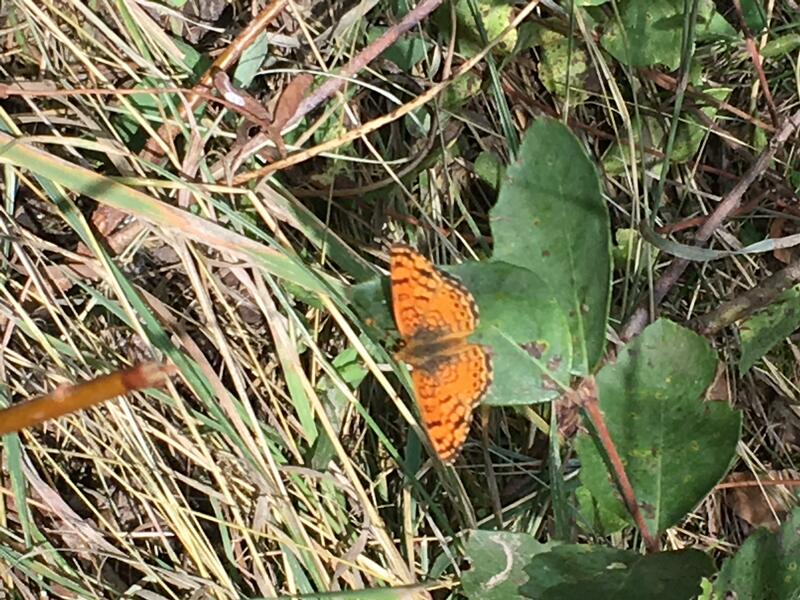 Observation notes: This butterfly was perched next to Soldier Creek in Sioux County Nebraska. Based on the field marks it seems to be a Mylitta Crescent but seems to be out of range so I was hoping someone with more experience could verify that that's what this is. I'm just beginning to learn butterflies. Sorry for the image quality, it was taken with my phone. Coordinator notes: While Mylitta Crescent does have striking similarity to this species it is extremely unlikely to have strayed so far. However, the Pale Crescent, especially when worn would also have this wing pattern and has been seen in this area before.